We're Ready to Call You! I'm not receiving Erin Condren newsletters anymore! Can I sign up again? If for any reason you're not receiving our newsletters, you can always re-subscribe! Simply go to "My Account" and check the box next to "Sign Up for Newsletter!" Even if you're already subscribed, there's no harm in resubscribing just to make sure! Am I automatically signed up for EC Insider? Current customers are automatically signed-up and enrolled in the program through their existing EC account! New customers just need to create an EC account to become an EC Insider and start earning points! Learn more about this incredible rewards program here! Help! How do I upload a photo? To add a photo, scroll down to the area labeled "photo options" and select the photo option you’d like to use. Click on the box that appears- this will generate our file upload tool. Click on the + symbol above the word browse. Locate the file you’d like to upload. Once uploaded, the file will appear as a thumbnail. What photo resolution do you recommend? For the absolute best print quality, our designers recommend that photos be 300ppi (think professional photography). Most modern mobile devices, however, are able to shoot great photos. -Is it at least 1MB to 2MB (megabyte, not kilobyte) in size? - If you open up your photo on your computer monitor, does it take up most if not all of your screen? If the answer to both of these question is yes, it’s quite likely that the file will suffice for print. 7x9 Cover: 7 inches by 9 inches (2100 pixels x 2700 pixels). 8.5x11 Cover: 8.8 inches by 11.6 inches (2640 pixels by 3480 pixels). Designer tip: We want your order to be perfect. Our designers recommend keeping any important art/image elements out of the bleed/trim area to avoid having them cut off. 7x9: After printing and trimming, your final print (before lamination) will be approximately 6.75 inches x 8.75 inches (2025 pixels x 2625 pixels). 8x11: After printing and trimming, your final print (before lamination) will be approximately 8.5 inches x 11 inches (2550 pixels x 3300 pixels). My order is in waiting because my Instagram/Facebook photo was too small. How do I fix this? Sometimes social media platforms downsize your photos in an effort to save web space. If you provide us the original photo from your device, we should be able to work with that one. After placing your order, you reach the Thank You page with your order number. Shortly thereafter, you will receive an order confirmation email, which also includes your order number. Go to the "My Account" page. Scroll down to "Pending Orders". Scroll down to "Order History". If at any point your item does not meet our QA standards, the item remains in "In Process" status. Payment Pending Oh no! It seems there was an issue with the payment at checkout. Please contact customer service to find out if your order was successful. In Process We have received your order! Your order is going through the design and production process. Waiting When an order is placed in "waiting", it simply means that we need some more information from you. More often than not, an order is placed in waiting because the designer is concerned about the quality of your photos. When your order is placed in "waiting", a CS representative will email you to request the necessary information required to move forward with your order. In Process Once your beautiful design is completed, it's off to the warehouse to be assembled and packaged with all of the goodies you requested. Shipped Hooray! Your order is on its way! To view your tracking number, log into your account. Can I add something or change my order after placing it? Due to the way we process incoming orders, we are unable combine new requests or add products to your order; please make a second order with any items you wanted additionally. We are so sorry that your order did not arrive to you by the "approximate ship date" associated with your order. The "approximate ship date" is our best estimate as to when your package will ship. Did you have a photo on one of your items? Check your order status (log in to your account). When an order is placed in "waiting", it simply means that we need some more information from you. More often than not, an order is placed in waiting because the designer is concerned about the print quality of your photos. When your order is placed in "waiting", a CS representative will email you to request the necessary information required to move forward with your order. Once we have the information or files we need, we will move forward with your order. Did you order an item that requires a proof, such as a contact card? Your order may be waiting for your approval. Log into your account to view your proof. Once approved, we will move forward with your order. Please keep in mind that we are sticklers for perfection and have high standards for quality, and as a result, your order may require a few extra days to meet our expectations. If we notice a flaw with your order during production or quality control, we re-print your product and begin the production process from the beginning to ensure you receive the best product possible. If a reprint is requested, how long will it take to get to me?Typically, we are able to get a reprint through the production process and ready to ship to you within 3-5 days, depending on the item or suggested revisions. All products are processed in our Austin facility. Pickup is not currently an option. If you just placed your order, please e-mail us with your order number and request the delivery address update. Once your order status is "In Process", we have a tiny window in which we can make the change. Please keep in mind that once an order has been placed and is in process, there is a small chance we may not be able to update the delivery address. Thank you for understanding! Most of our orders will ship within 7-10 business days. During our peak times throughout the year, when the number of orders received increase, your delivery may be slightly delayed. Yes, we ship to P.O. boxes. Please select Economy as your shipping method. 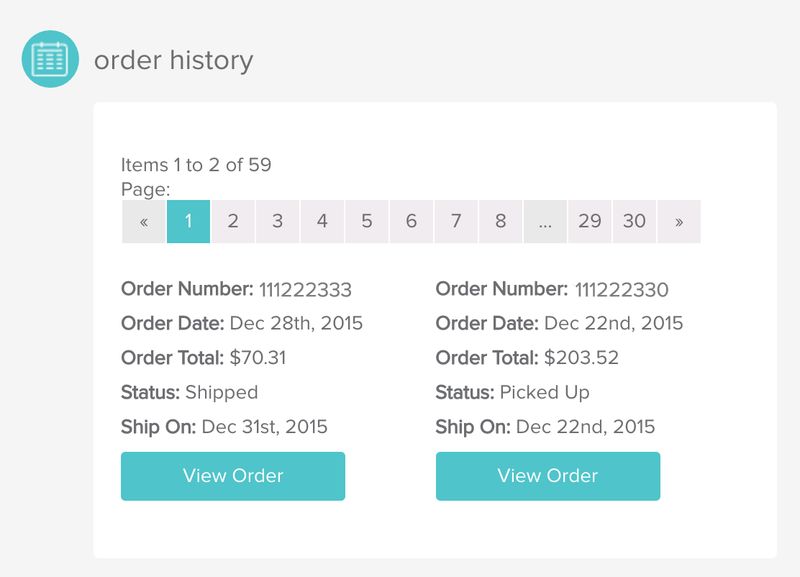 To track your package, log in to your account to view your order history. 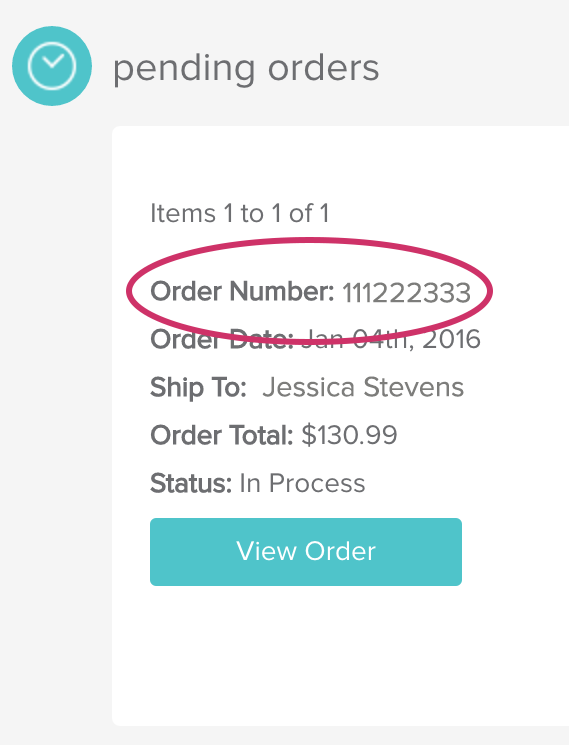 Click the "view" button on your order number to view your order status. If your package has shipped, a tracking number will be provided to you. Expedited shipping refers only to the package's travel time from our shipping dock to your delivery address, not the production process itself. Once your order is placed, it goes through our in-house production process, is packaged with care and then is finally handed over to our shipping carrier where it goes out via the method you selected. We love that EC products have made customers happy globally Please be aware that tariffs and taxes are not implemented by our company, but by federal government policies that are beyond our control. Our international shipping charges DO NOT INCLUDE any applicable import taxes, customs duties, or fees that are due upon entry into the destination country with the exception of Canada. All duties, fees, and taxes are the responsibility of the recipient, and are levied once a shipment reaches the recipient’s country. Customs policies vary widely from country to country and can cause delays beyond our original delivery estimates. Please contact your local customs office for more information. Why is shipping more expensive for some items? Certain textile items (sherpa throws, pillows & totes) ship from alternate fulfillment centers and thus require a separate shipment. These multiple shipment orders will require two shipping rates, one for each package and are not valid towards free shipping. I have over $75 in my cart, but am still being charged for shipping! Why is this? Check your cart! If you have certain textile items (sherpa throws, pillows & totes) in your cart, you will need to pay shipping for these items as they are ineligible toward our free shipping promotion. Because these textiles ship from alternate fulfillment centers, they require a separate shipment and will need to be paid for. The rest of your order will ship for free and will come in a separate package. Do you have any discounts for first-time customers? Additionally, we currently offer the "EC Invite a Friend" program, which gives discounts to ALL customers! If you are referred to our site (through a referral link), you receive $10.00 off just for creating an account. After you create the account, you can earn credit just by telling your friends about our company! After you set up your account and make your first purchase, you will receive your order with some extra surprises! We love giving our customers extra EC goodies and rewards-- and we continue to give, give, GIVE as you place more orders. Do you have any promos/deals going on? To stay up to date with the latest deal, sign up for our Newsletter. We usually email our latest deal/coupon code to our newsletter subscribers. I missed the promotion or sale. Can you apply the code to my recent order? Unfortunately, as stated on our website and in our newsletters, all sales and promotions are not applicable towards previously placed orders. The programming for each promotion is created in advance and scheduled automatically to begin at a designated time period. Our marketing team has researched each promotion extensively and decides when to launch and end each promotion, after weighing in various factors. While we cannot apply promotions to previous orders, we frequently offer new sales and contest giveaways! Are you interested in contests, promos and giveaways? If so, please be sure to sign up for our Newsletter and follow us on social media! How Does EC Insider work? Click here for detailed information on our rewards program! Can I stack my EC Insider coupons with other promotion codes? You can combine EC Insider coupons with EC gift cards & EC referral codes, but please note that it cannot be combined with any promotion codes, including the 10% off first purchase coupon code. Once you have personalized your order and have proceeded to checkout, you will reach the "Payment Information" page. Scroll down until you see the "Coupon/Gift Voucher/Daily Deal" box, and in the space provided, enter in your gift card code, eGift code, credit voucher or coupon code. Next, click "Redeem". For any remaining balance, your credit card will NOT be charged until you “Confirm Order” on the next screen. What is a credit voucher? Credit Vouchers refers to EC store credit that is directly emailed to the customer OR referral codes (only if you referred others). Credit Vouchers do not have expiration dates and are applicable towards tax and shipping. Credit Vouchers can be combined with other gift cards, coupons, discounts, and promotions. Credit Vouchers, eGift Cards and EC Gift Cards can be combined with other gift cards, coupons, discounts, and promotions. Coupon codes generally cannot be combined with other Coupon Codes. While most products are included in our bulk discount policy, there are a select number of items we cannot include. For a full list of applicable items & shipping fees and to find out more information about corporate gifting, please email info@erincondren.com. We currently accept Erin Condren gift cards, Visa, MasterCard, American Express, Discover, and PayPal. At ErinCondren.com (“EC”), our customers' privacy and security is our top priority. We take any and all security concerns seriously and investigate each one individually. We continually revamp all of our systems and security processes to ensure state of the art security and monitoring based on the latest technology available. We use industry leading platforms, including Amazon Web Services for website hosting, Error! Hyperlink reference not valid. and PayPal for payment processing, and Alert Logic for network and traffic monitoring. We periodically regenerate all client-side SSL certificates which employ the latest encryption algorithms. We have performed multiple full-site security audits through external security experts including Trustwave and StratumPoint. There were no issues found related to payment processing or customer data. We have also done thorough reviews of all internal and external payment processes and have found no system or process issues. Our process leverages our trusted payment gateway partner, Authorize.net, to process all credit card transactions. When credit card information is entered on our payments page it is passed directly to Authorize.net through SSL encryption standards, and remains encrypted at all times. At no time do we have direct access to payment information and we do not store ANY customer credit card information on our servers or on any EC databases. We are committed to continuing to improve the customer experience and protecting customer's privacy. Please let us know if you have any further concerns. All personalized orders are final and not eligible for a return or refund unless there is a valid quality control issue or printing error. Please contact customer service to remedy this. Variations can occur during the printing process. These characteristics do not affect the usability of an Erin Condren product and are not considered damaged. Printing is more of an art than a science and these unpreventable and minor variations lend themselves to the personality of each unique product. If your order is damaged from shipping or may have an error, please contact us within 10 days of delivery. Depending on the damage, damaged items may be reprinted or replaced with the exact same style item. In some cases, we will provide a return label to return the item so we can review and use as feedback with our continued growth. Refunds are processed in the same form of payment originally used for purchase. If store credit, gift cards and/or eGift card credit were used, they will be refunded as first method of payment and are not eligible for cash dispersal. In order to receive a refund credited back to your bank account, your order must have been placed no more than 30 days from when you request a refund. For your security, the refund must be credited back to the card you used to purchase this order. In the event that your credit card has expired or has been cancelled, you must receive credit to shop at erincondren.com. If you are requesting a refund and your order was placed more than 30 days ago, we are only able to provide you with credit to erincondren.com. Our system is designed to provide extreme security to our customers, and as a result, does not save any credit card information. After 30 days, we no longer have the ability to issue a refund to your order. Please note that all sales are final for apparel items. How long will it take for the refund to appear in my bank account? We issue refunds within 24 hours of when the refund request is approved. However, we have found that it takes 5-10 days for a refund to reflect in your bank account, depending on your banking institution. Can I return products purchased at Staples or Amazon? At this time, we do not accept returns on products purchased at third party retailers. Please contact our affiliates' customer service departments for further assistance. Help! My item is damaged! If your order is damaged from shipping or may have a error, please contact us within 10 days of delivery. Depending on the damage, damaged items may be reprinted or replaced with the exact same style item. In some cases, we will provide a return label to return the item so we can review and use as feedback with our continued growth. On the "My Account" page, go to "Order History." Find the order with the error and click on "View Order" button. Review your order summary. Find the item with the error and click on "report-error" link. In the pop up, write a detailed description of the error, then click the check mark. After we receive your report, you will receive an automatic confirmation email. What happens when I report an error or e-mail you? When you report an error or e-mail us, the information is submitted to our customer service department and a unique case is generated. Customer submits report through website or emails Customer Service directly. Information reaches Customer Service Department and a unique case number is generated. Our system generates a case number and responds via e-mail to customer, both confirming that we received their information and communicating their case number. Cases are addressed by our Customer Service agents individually- case by case. Customer Service agents work through the cases. Please refrain from sending multiple emails regarding the same issue; this duplication will cause us to create multiple cases for the same issue and can cause confusion. I submitted a report/e-mail but I haven't gotten a confirmation e-mail. What should I do? So sorry about that! If you submitted a report/e-mail but did not receive a confirmation e-mail, please submit a new one. Once you've received a confirmation e-mail with a case number, we will respond to you as soon as we get the chance. If you submitted a report more than 72 hours ago, received the confirmation e-mail and have not received a response from one of our agents, we apologize. You can follow up by replying to that same e-mail, which will keep all our communication within the same case/thread. Do not start a new email chain as this will create a different case number. Help! I got an error and can't place my order! Please try clearing your cache and cookies. Try using a different device or computer. If you get an error while trying these, please send us a screen shot of the error so that our technical team can easily determine the cause of your issue. I have a PR or Blogging request! If you are a blogger or have a press inquiry, please email blogger.relations@erincondren.com along with your subscriber statistics, social channels and any other information that might give us a better understanding of your community. We love working with bloggers! Are you planning a special event, speaking engagement or meet-up? How do I follow you on your social platforms? Let's get social! We can't wait to connect with you! What is your contact information and Business hours? Our business hours are M - F, 9am - 5pm PST, however we do not offer in-store pick ups or tours.